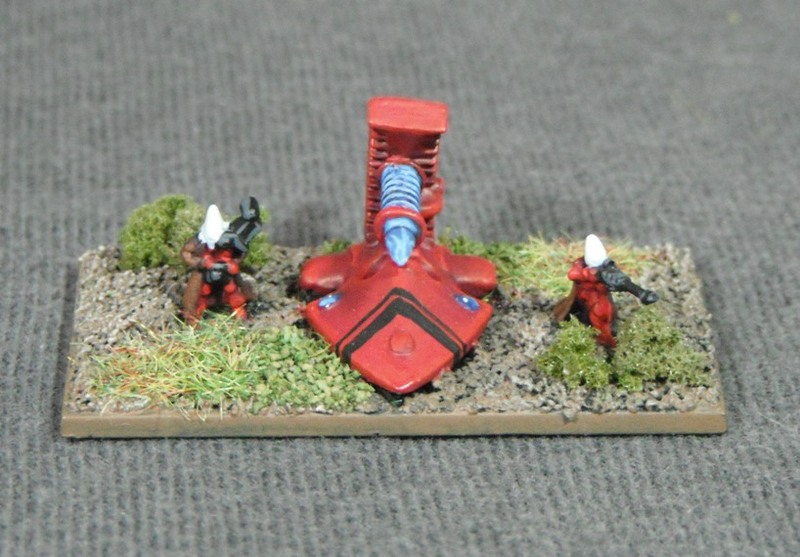 Over the weekend I managed to finish my jetbikes. 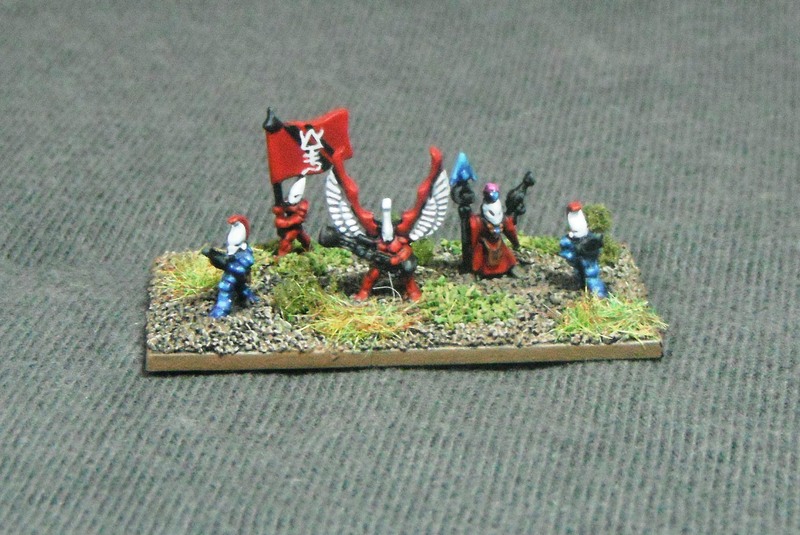 These are such an emblematic unit of the Eldar, and Saim-Hann in particular, that I just had to include some. To mount them I clipped off the chunky plastic flight stand that is attached to the model and, after filing the area smooth, drilled a small hole with a pin vice and inserted a length of brass rod. Not only is the brass rod less obtrusive than the original plastic stand, but it provides the opportunity to add a little more dynamism to the models by changing the height or the angles at which the jetbikes are flying. 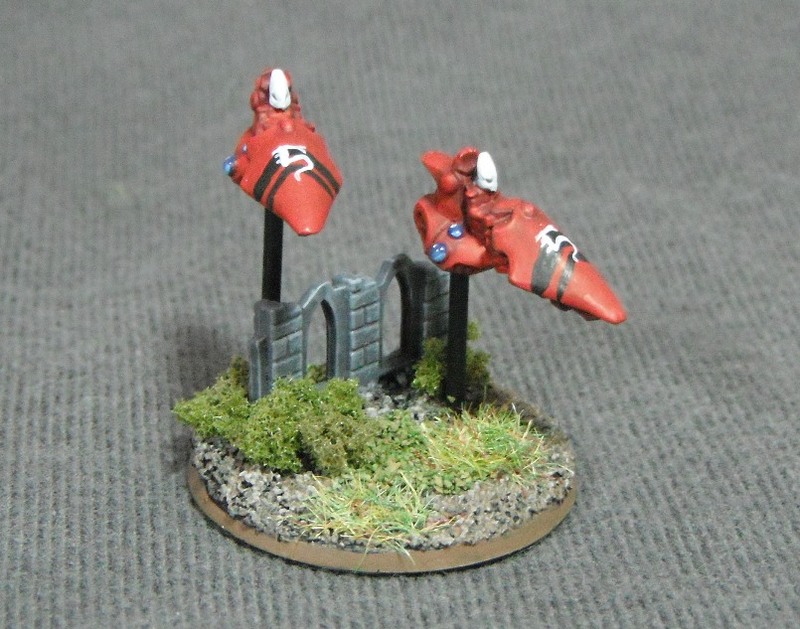 I chose to add only two jetbikes to each stand as I thought any more than this would look too crowded (the rulebook suggests using between two and four models per stand). 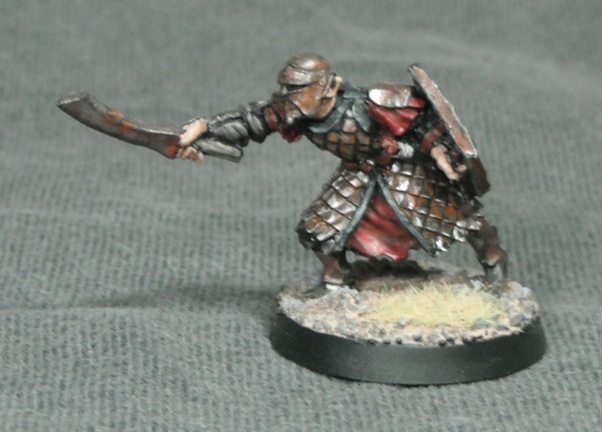 For painting all of my Eldar I started with a black undercoat over which I applied Scab Red. This was then highlighted using Red Gore, a Red Gore/Blood Red mix and finally pure Blood Red. 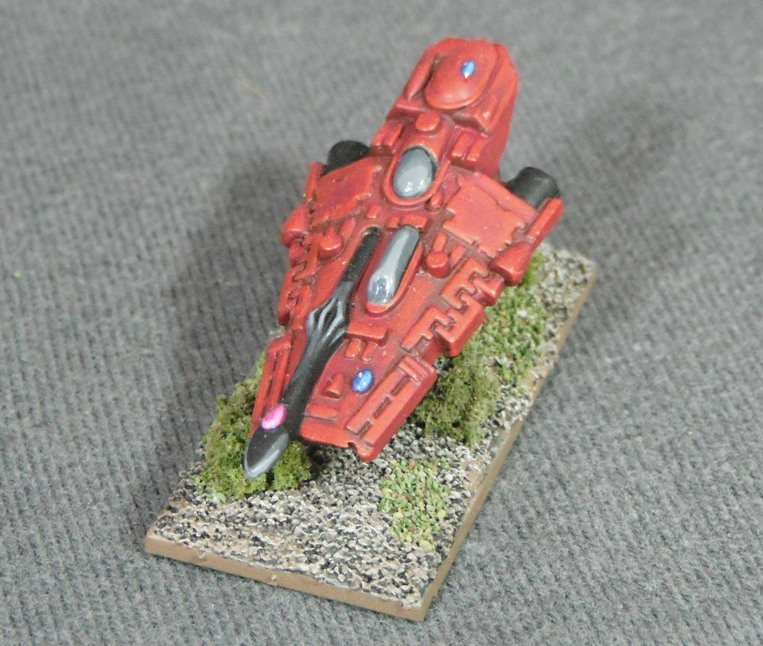 For the jetbikes I added a few details such as the freehand ‘cosmic serpent’ emblem and the blue gemstones. 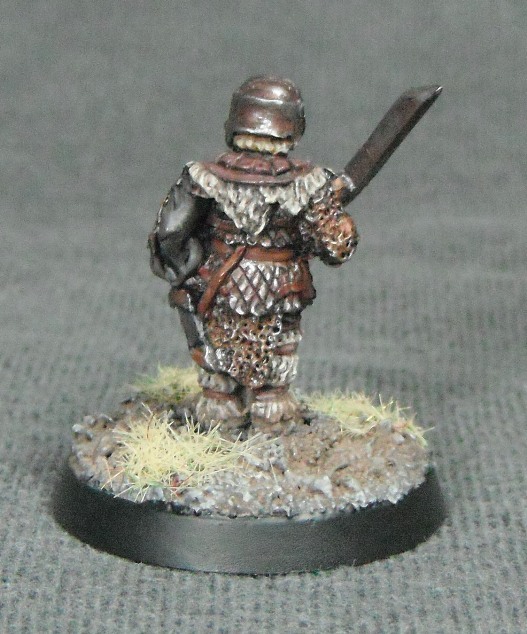 A few simple touches like this really makes the models stand out. I’ve been interested in Epic for a long time now. 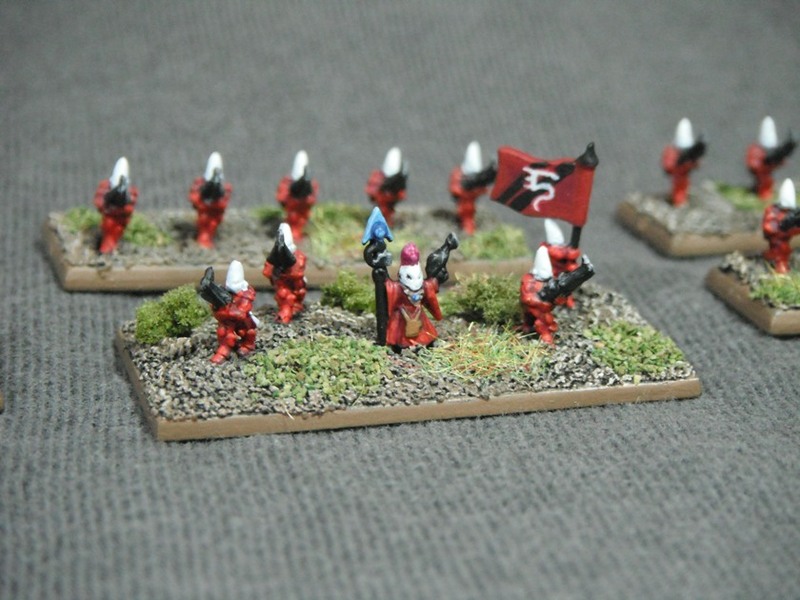 It is often lauded as a much more tactical game than 40k. Also, the vast scale of the battles has always appealed to me. I remember back in the mid-nineties I saw a battle report in White Dwarf between Eldar and Chaos. The models looked great en mass and really created the sense of massive battles and gargantuan war machines that the background of 40k described. 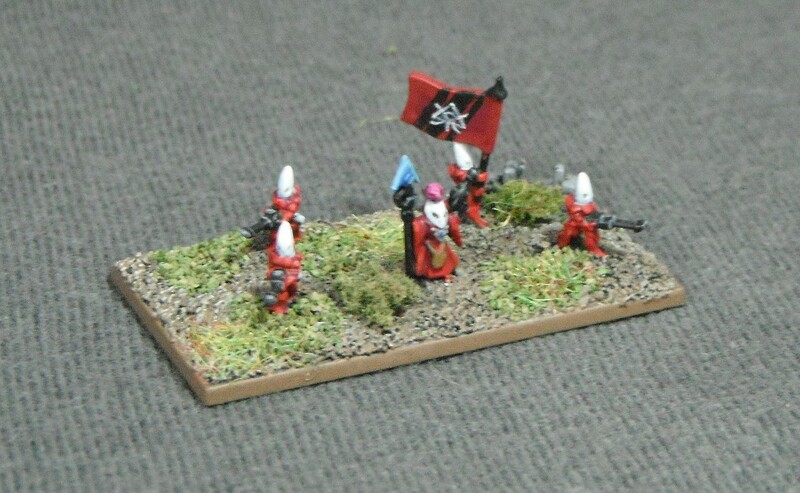 I went out and bought a set of Epic Eldar models but at that time I was new to the hobby and, after breaking a few of them cutting them off the sprue and ruining others with dreadful paint jobs, I lost interest and the rest of the models sat neglected for over a decade while I returned to 28mm models. However, despite this early disappointing encounter with Epic I have always remained interested. 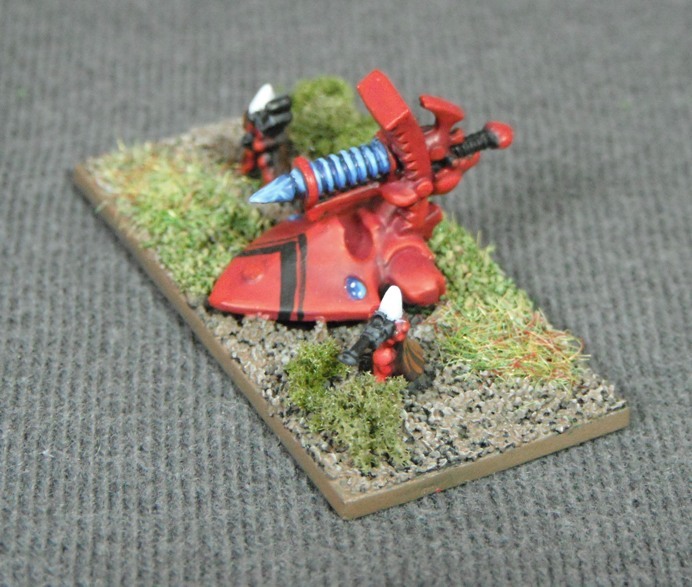 One of my great inspirations was Carl Woodrow’s website Dropship (and later his blog, Drop Pod). 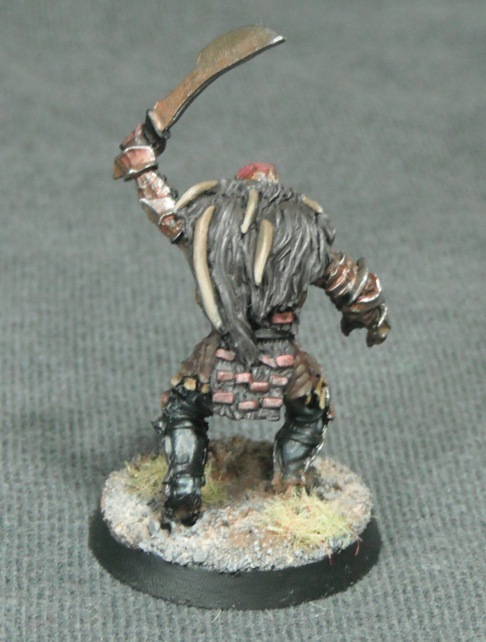 Although the site is quite old now it is still worth a look for Carl’s excellent models and painting tips. 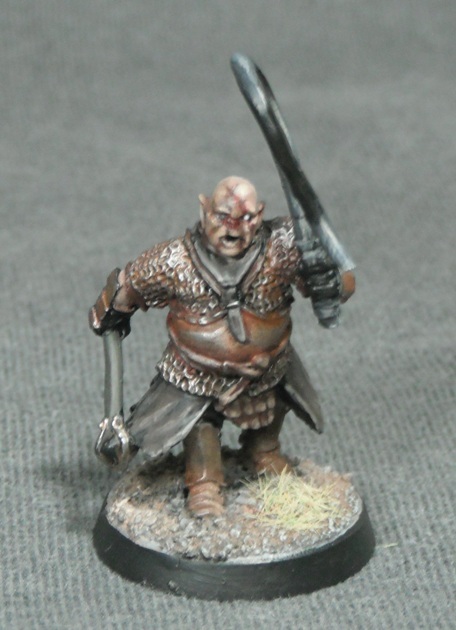 One of the things I really admire about Carl’s Epic models is the fact that he treats them like models and not just playing pieces despite their tiny size. 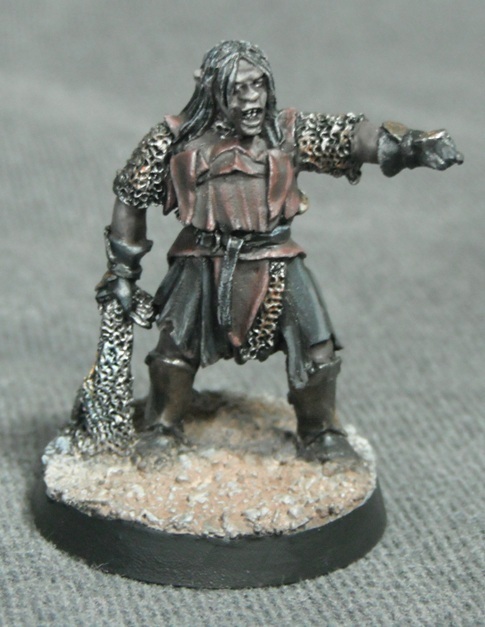 I think you will be able to clearly see his influence on the models below, especially in the basing style. Anyway, recently I have joined a club which has an active Epic group and this has reignited my interest in trying the game. 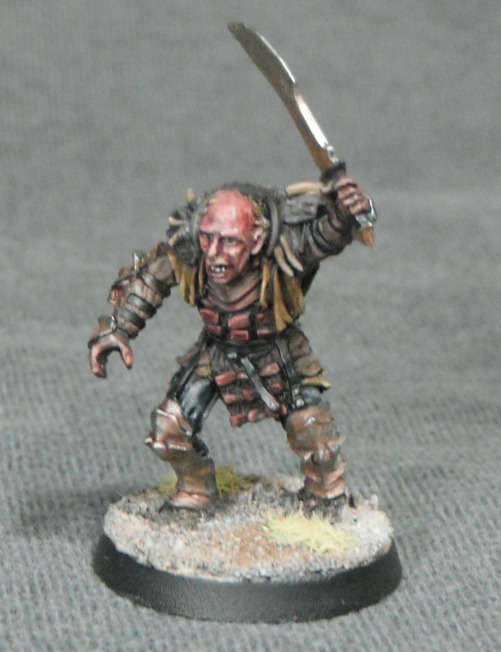 Over the last couple of months I have been painting those old models from the nineties as well as adding to them with newer models. I now have a small army assembled. 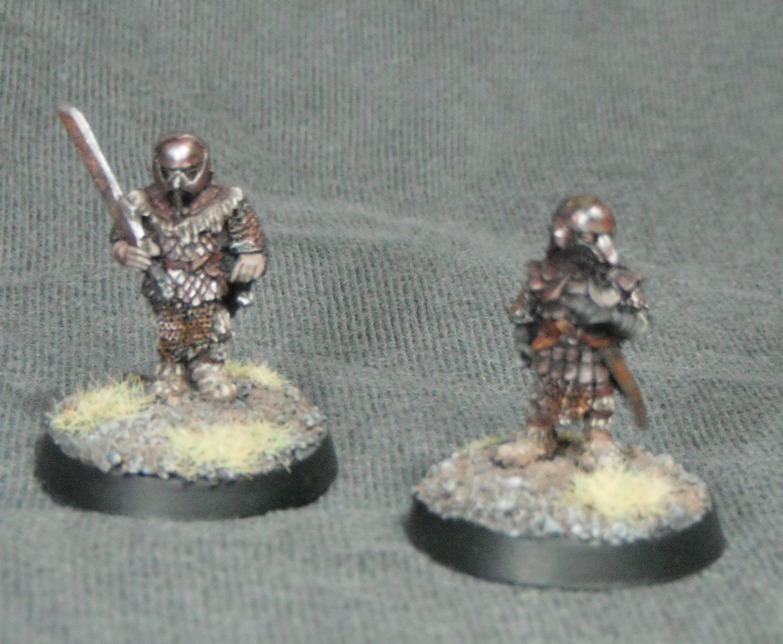 Below are the finished units. Fluff-wise, Guardians are the backbone of a Craftworld’s armies so I decided to begin with two formations of them. 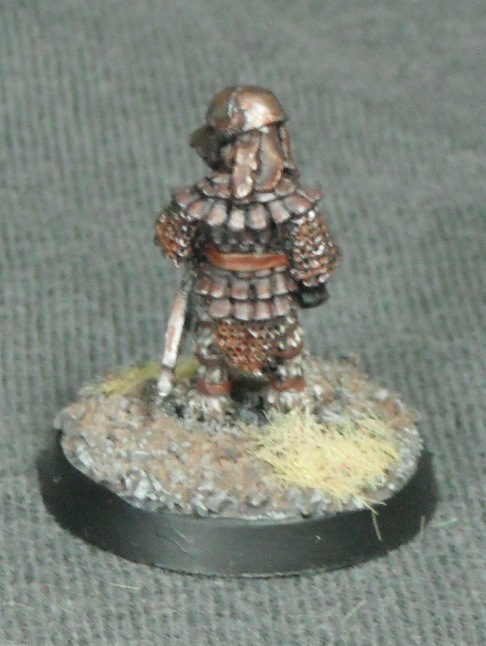 I knew that for models of this scale I would need a striking colour scheme so that they didn’t get lost on the table. 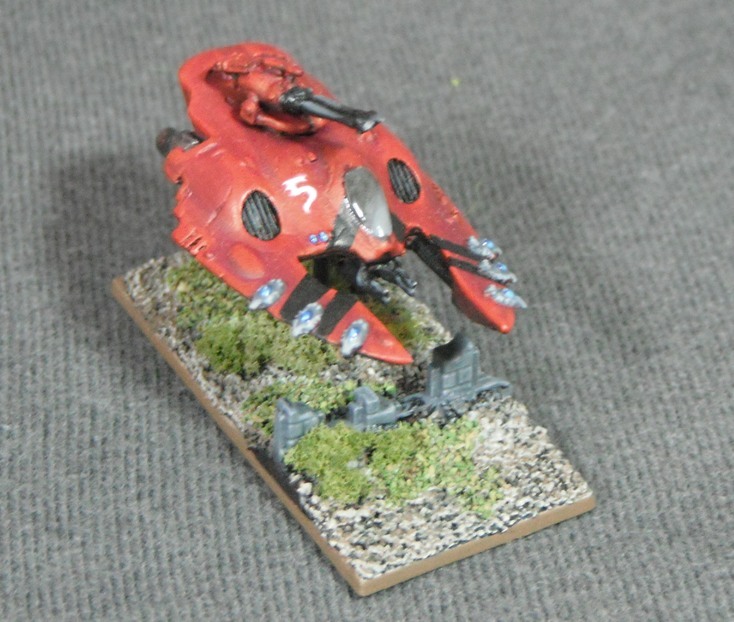 Anything too subtle simply wouldn’t show up at a distance so I settled on the bright red and white of Saim-Hann. 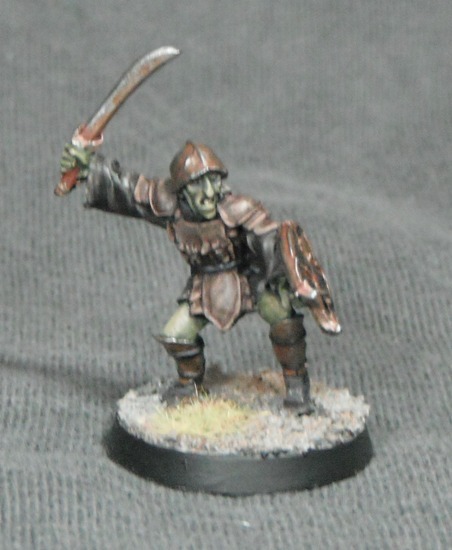 I think this provides a strong contrast to the greens of the bases and they really stand out. 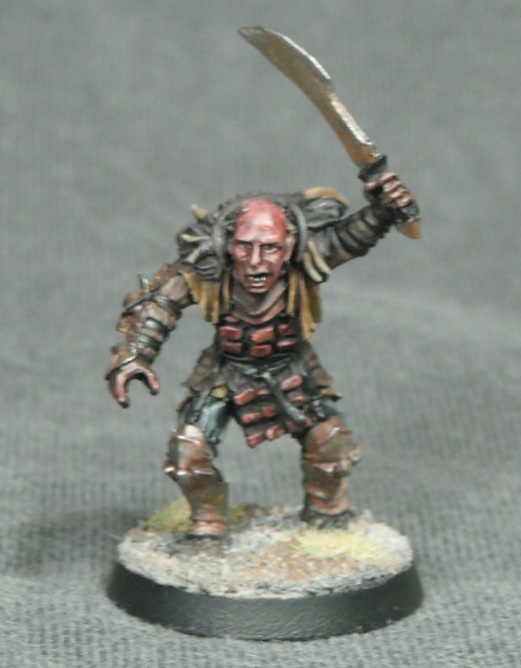 This is a basic warhost. When basing the models I tried to reflect the way that the models are fielded in 40k and added some Warlocks to some of the Guardian stands. In game terms they don’t do anything but I think it adds a bit of visual interest to the troops. This second formation has had some of the basic Guardians swapped out for some weapon platforms. 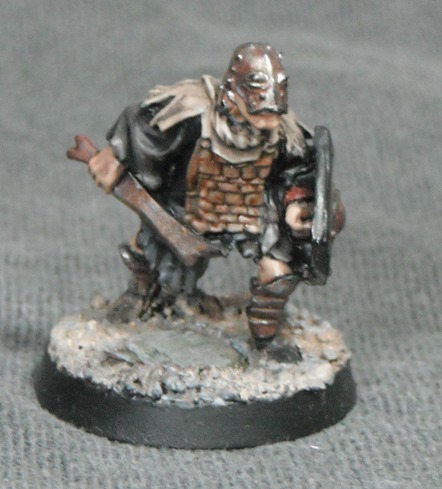 The Epic: Armageddon rule book allows quite a lot of latitude when it comes to basing models and, as such, these are based on the Battle of Five Armies bases which I think look a lot better than the old square bases as these are a little too small for a weapon platform and two crew. 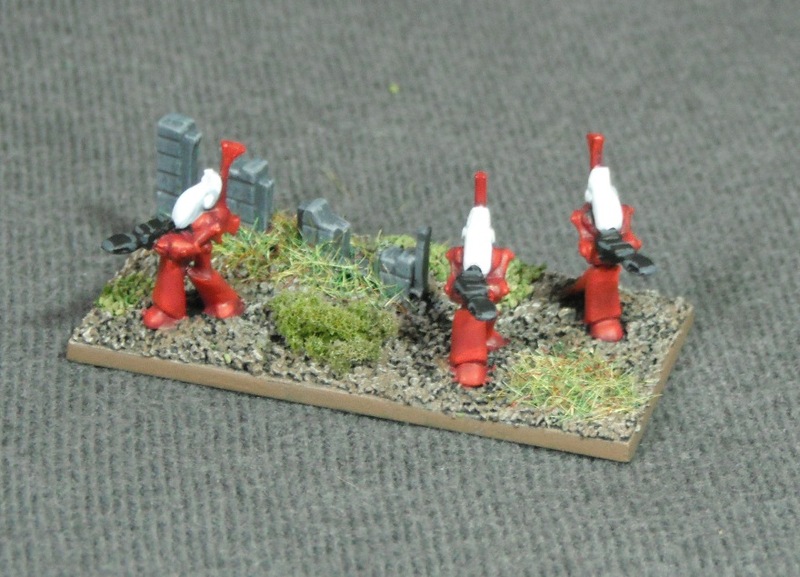 These Guardian models (and the platforms) are from the nineties set and are armed with lasguns. I’ve also added a few Guardians with heavy weapons. 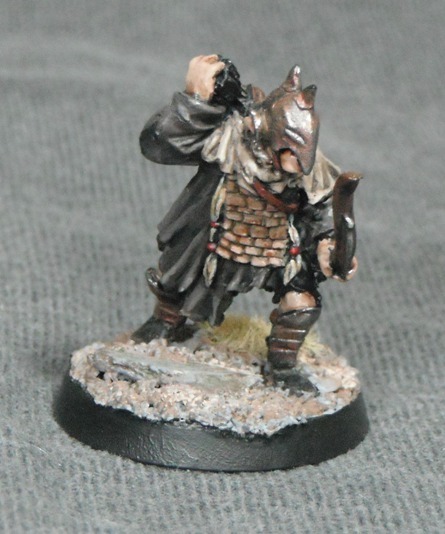 Again, this has no bearing on the rules but it looks good considering that this is my ‘shooty’ unit. I’ve followed Carl Woodrow and mounted my commanders on larger bases as befits their status. This allows for a more interesting arrangement of the models on the base. 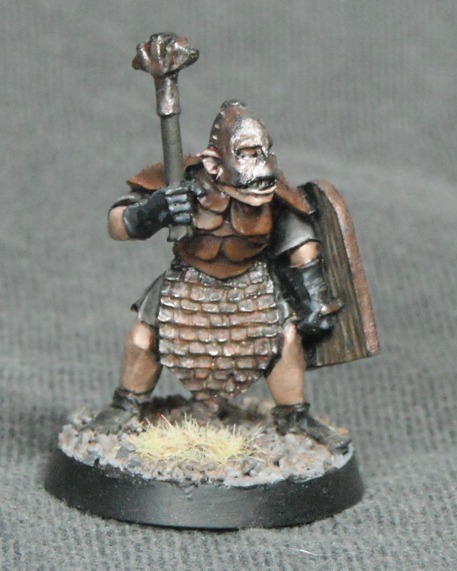 I’ve also included some of the old standard bearers to distinguish my command bases and make them easily identifiable in battle. 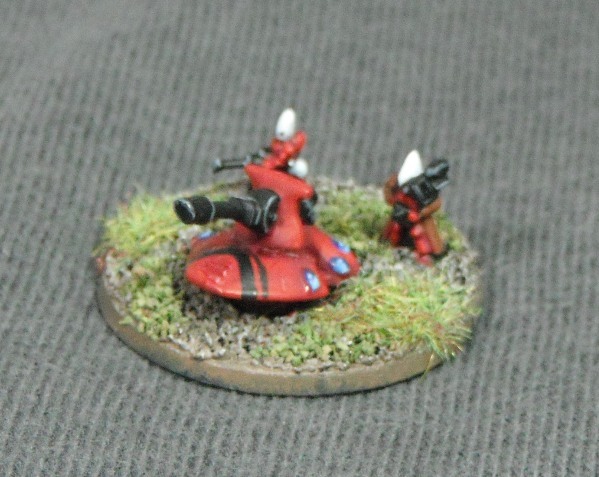 Here are some upgrades for the Guardian units, Vibro-cannons (support weapon platforms) and Wraithguard. A Spirit Seer was added to the Wraithguard and ruins were placed on the bases to add some interest. 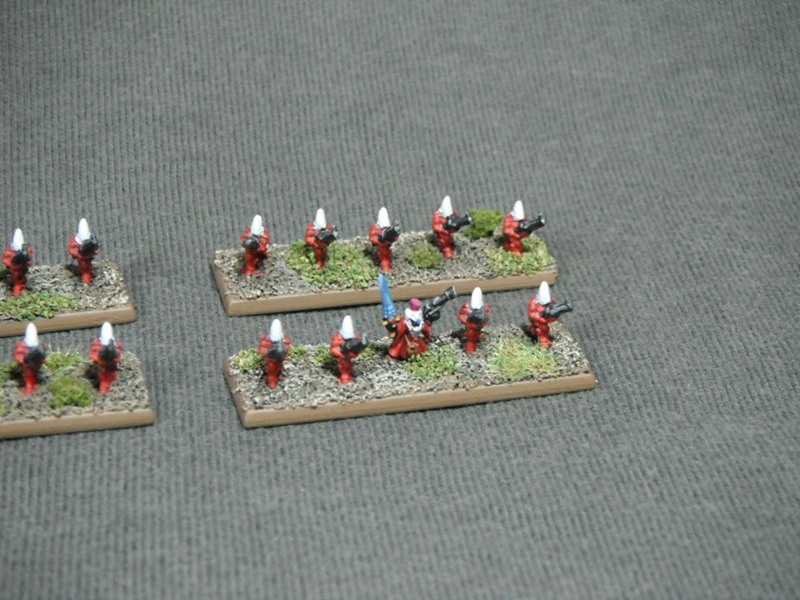 I used rangers as crewmen on a lot of the weapons. This is a nod back to the days when weapon platform crew wore overcoats. 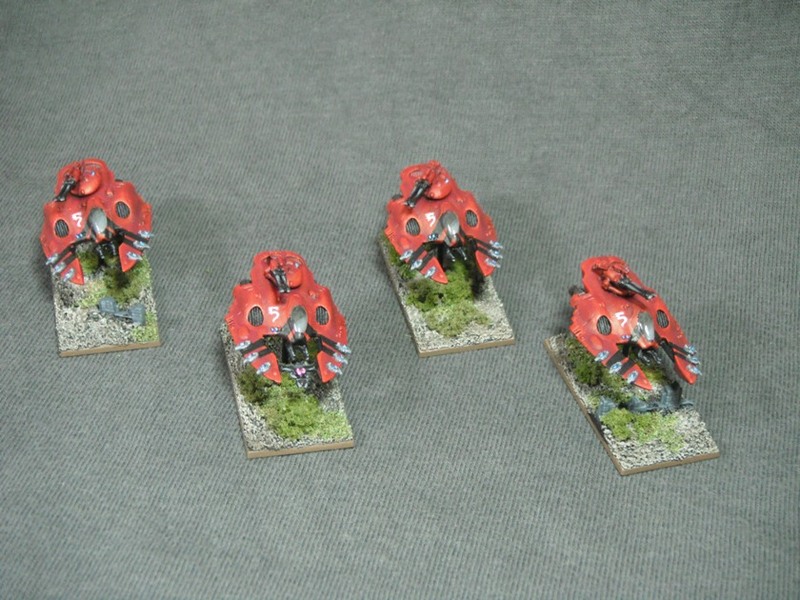 An Eldar army needs some Grav-Tanks. 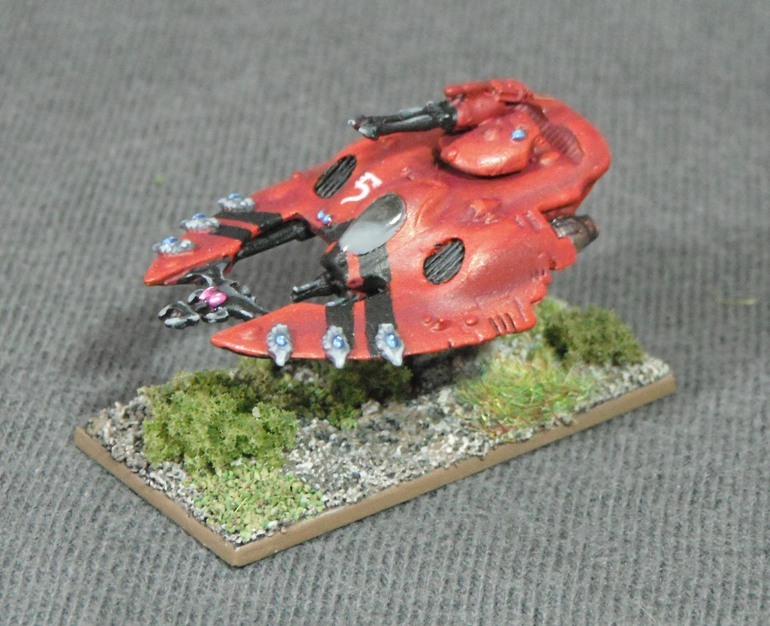 I’ve used a mix of Forge World’s excellent resin Wave Serpents and some older plastic Falcons. 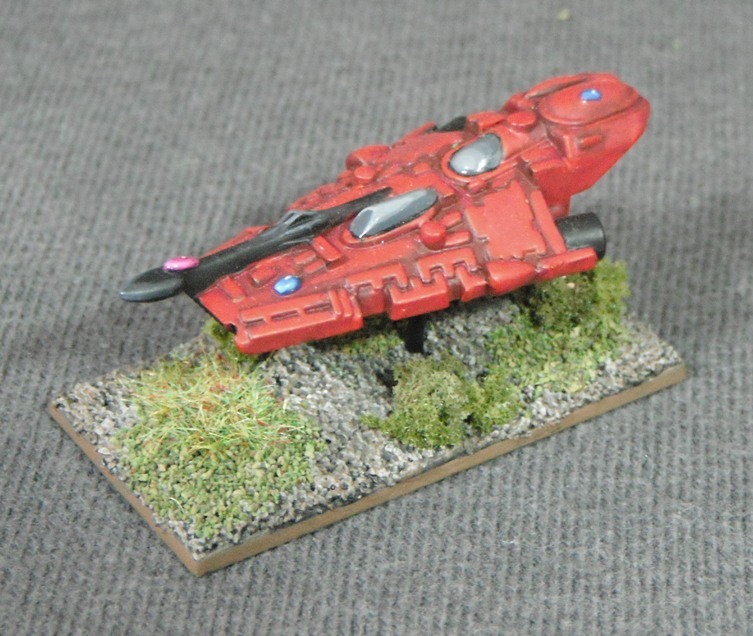 I plan on updating the Falcons with FW models as soon as I’ve managed to find enough of them on ebay (unfortunately much of FW’s Epic range is no longer available). I’ve mounted all of my tanks on Warmaster bases using brass rod and decorated them with a mix of different kinds of flock and clump foliage. The Wave Serpents will end up as transports for my Aspect Warriors. Hopefully I will be able to get a game of Epic in next week. 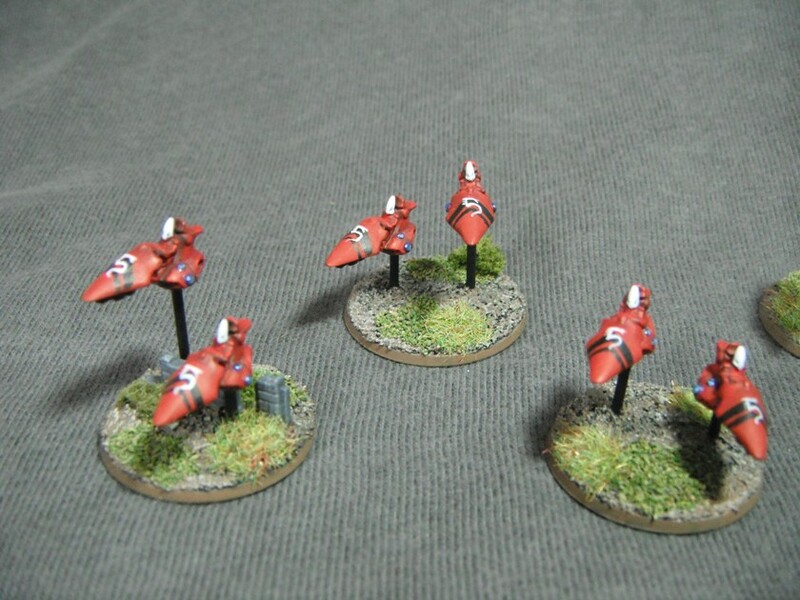 Before then I want to get my Aspect Warrior formation finished along with some jetbikes (after all, it wouldn’t be a Saim-Hann army without a few jetbikes). I’ll post these as soon as they are finished. After reading an article in Empire magazine about the forthcoming hobbit films I’m very much excited again about the world of Middle Earth and its denizens. 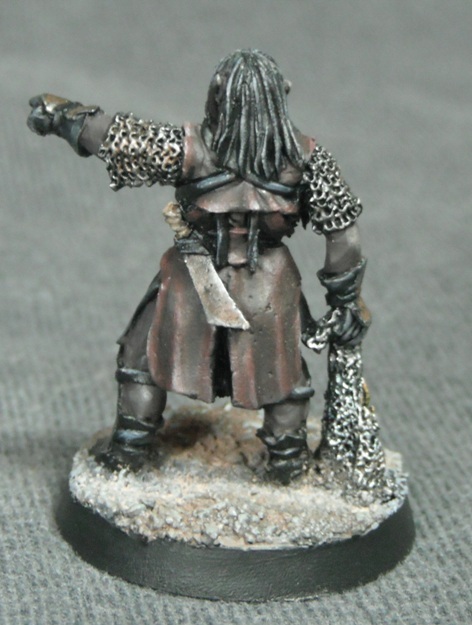 As such I have begun repainting a lot of my old LotR models which I bought back when they were originally released a decade ago. In that time my painting has greatly improved and so I decided to update them. 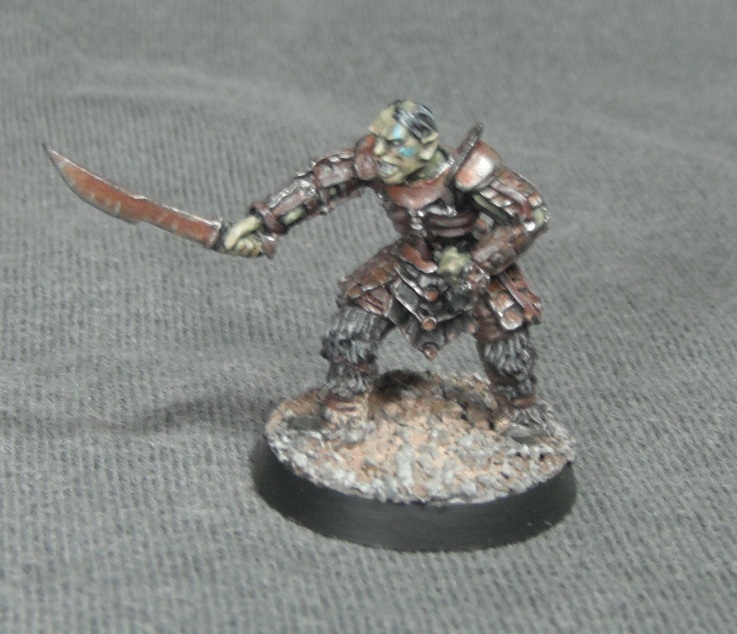 Here are my orcs. I wanted them to be as close as possible to the film. 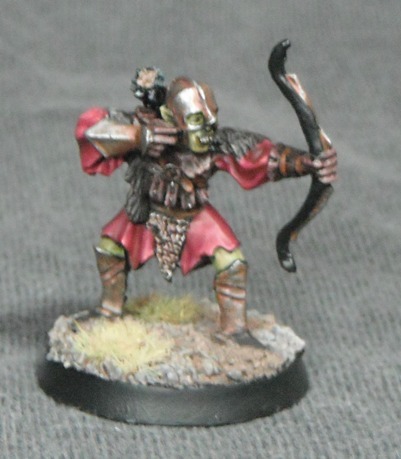 However, the orcs in the film are all muddy and filthy and, while this looks great on film, it doesn’t really translate well onto miniatures without making them look like a badly painted mess. 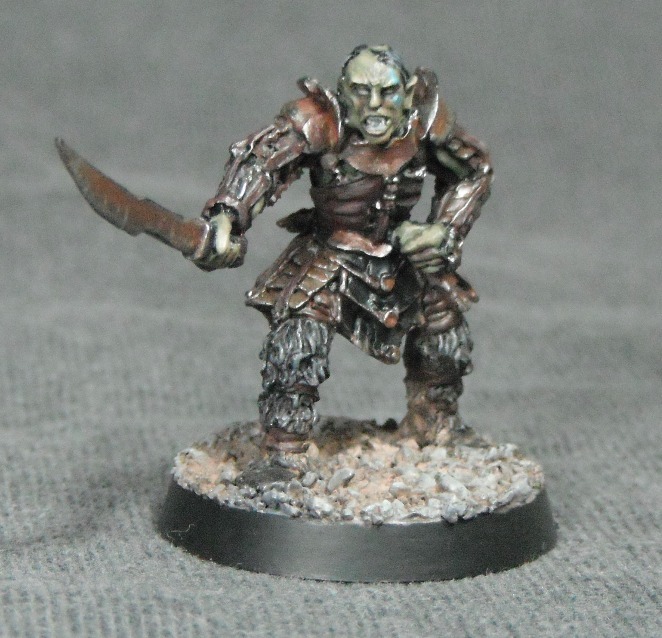 Instead I wanted to capture the feel of the orcs by using lots of dark colours and muted shades with the occasional red accent to add a bit of colour. Overall I’m very pleased with how these turned out.